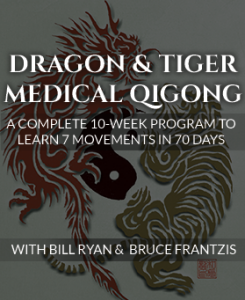 You won’t get a better initial introduction to qigong/chi gung/chi kung or tai chi than Marriage of Heaven and Earth Qigong. As the most popular exercise in the Energy Arts Core Qigong Program, Heaven and Earth Qigong provides a real taste of what tai chi can do for you without the time investment tai chi requires. This simple, repetitive exercise is great for getting your chi moving. Marriage of Heaven and Earth Qigong is best known for helping to heal back and spine injuries and is especially effective for mitigating repetitive stress injury (RSI) and carpal tunnel. Keep you from getting bored from practicing. 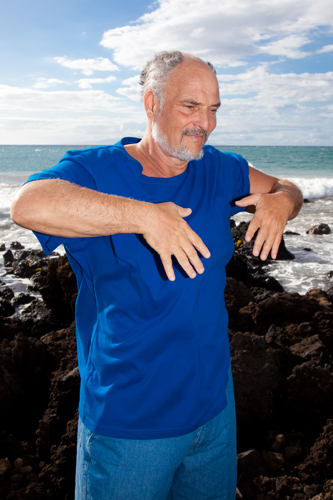 Circling Hands, the foundational movement of Heaven and Earth Qigong, is easily integrated into the basics of tai chi, especially when done with three basic circles, waist turnings and weight shifts. This allows even raw beginners to understand tai chi to some depth, but in a highly abbreviated, very easily digestible manner. Heaven and Earth can be learned relatively quickly. Heaven and Earth can be practiced in many different types of situations. You can build it in to any other exercise routine you already have or adopt it as your primary routine. You can practice in a relatively small amount of space and even modify the movements to practice while sitting. Less external, more internal content is the powerful combination that makes Heaven and Earth Qigong and Circling Hands so accessible. 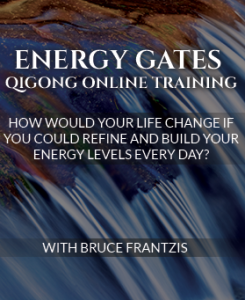 Heaven and Earth Qigong fits in the middle of the learning curve and bridges the beginning and advanced work within the Energy Arts Core Qigong program. Pulsing the joints, opening/closing and more complex Longevity Breathing techniques are the neigong (internal components) taught. Without pulsing, practicing the later programs in the Energy Arts Core Qigong System, such as Bend the Bow Qigong, Spiraling Energy Body Qigong and Gods Playing in the Clouds Qigong, will lack the necessary foundation to fully blossom. The internal material within Heaven and Earth, including opening/closing and the ability to directly move energy along yin and yang meridian lines inside your body, is therefore extremely important. The name “Marriage of Heaven and Earth” comes from the combination of female qualities of yin, associated with the Earth, and the masculine qualities of yang, associated with heaven. The whole universe (heaven and earth) is pulsating with chi (qi) or energy and so is the human body. 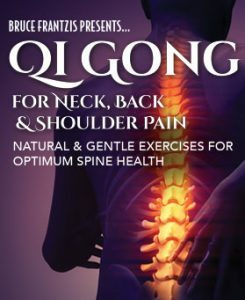 Practitioners of both Western and Eastern traditions agree that the spine, joints, organs, blood and indeed all the internal systems of the body pulsate or open and close in a natural rhythm. When the body is healthy this pulsing is even and strong. When the body becomes ill pulsing deteriorates and our bodies and well-being are compromised. The simple movements of Heaven and Earth Qigong are containers for the internal chi work. You will learn the procedures for opening and closing of the joints (pulsing) without using muscular tension. Opening and closing is the core energetic process of Heaven and Earth Qigong and an important component of the 16 neigong/nei gung/nei kung. Marriage of Heaven and Earth Qigong teaches you how to efficiently move chi through the acupuncture meridian lines, joints, muscles and fascia of the body and to coordinate the ascending and descending flows of chi. The ability of the body to pulse and spring with an elastic quality is a fundamental component of neigong energetic practices. Advanced levels of Heaven and Earth Qigong teach you to energetically open/close the soft and hard tissues of the body and cavities and progress to opening/closing areas of your subtle energy anatomy (channels, points or aura). 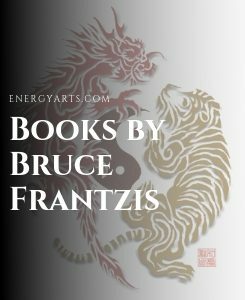 These internal components can be incorporated into other energetic practices and are essential for advanced Taoist practices.